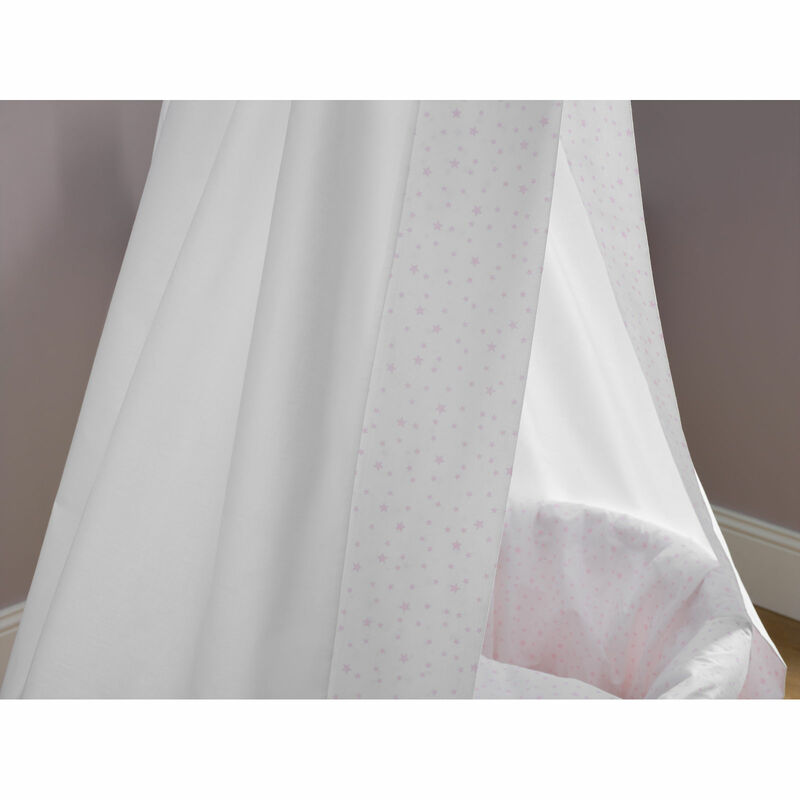 The 6 piece moses basket and drape set from Clair De Lune provides you with a fantastic environment in which to house your new arrival. 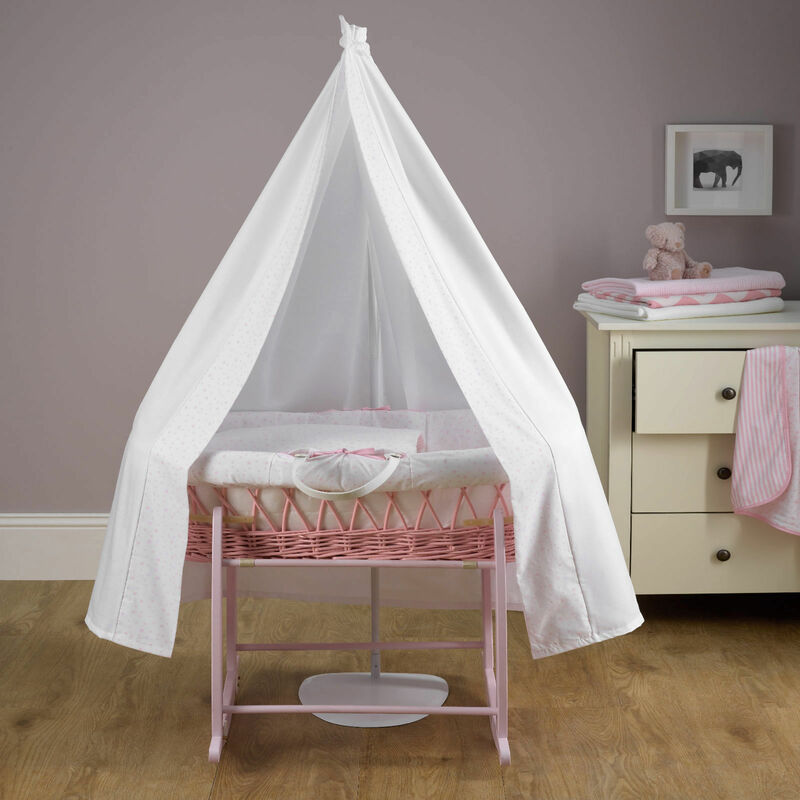 Complete with padded wicker moses basket, deluxe rocking stand, a freestanding drape bar and free-flowing drape, the set bestows a certain magical element upon your nursery with a style and grace that only Clair De Lune knows how to achieve. 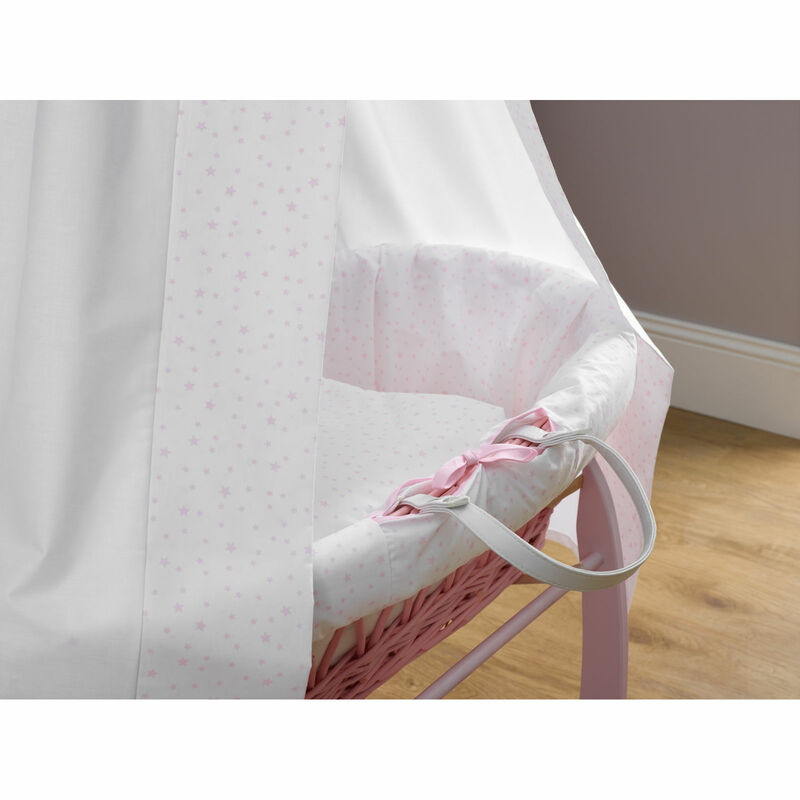 The stand is designed for a Moses basket with a maximum dimension of 780 x 340mm and a minimum of 670 x 290mm at the base.